So you’ve ticked off everything from short travels and alternative destinations to staycations sans the passport. But if you’re itching to do something out of this world, these theme parks will give you a high. From roller coasters that drop your heart rate to rides that are created just to get your adrenaline pumping, these are the top theme parks in Southeast Asia that all thrill-seekers have to visit at least once in their lives – even if it means having to queue up for hours. About the park: You don’t have to travel all the way to Gold Coast ‘cos Thailand’s version ranks high for us adrenaline junkies. 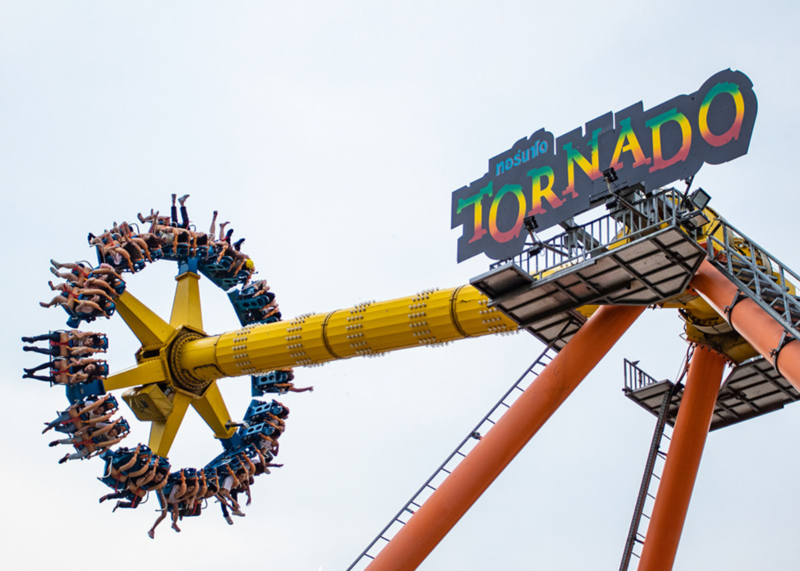 The one ride you have to take: The Tornado Spin spins your head right ‘round while swinging you from left to right at 75 kilometres per hour. About the park: The park is almost synonymous with Sentosa. With over 10 exciting rides for all ages and thrill levels, it’s great for those who dash to the nearest roller coaster or would rather feast on a turkey leg while people-watching. All rides are close to each other so you can easily conquer it in one day. What you’ll like: Spot well-loved characters from Shrek, Madagascar, Transformers and the Minions in seven exciting zones. Plenty of photo opportunities! 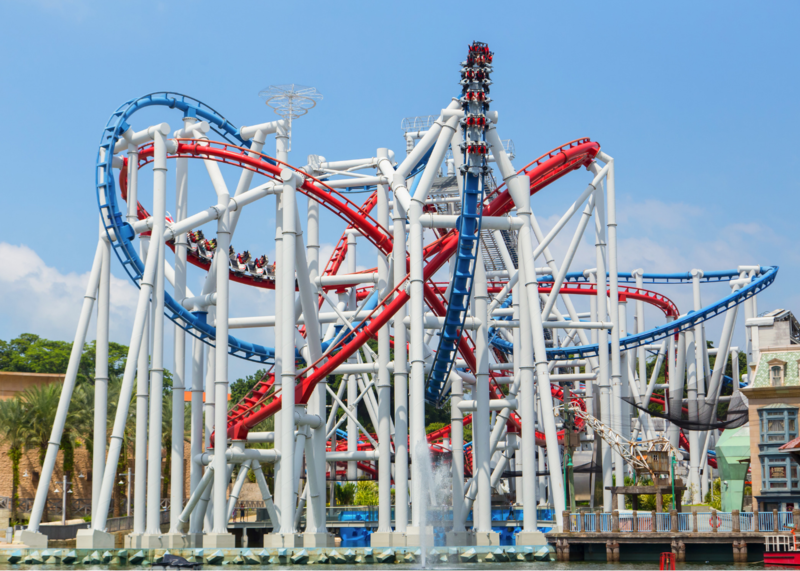 The one ride you have to take: Battlestar Galactica: Human vs. Cylon of course! This high turbulent speed roller coaster has enough twists, turns and drops to get your insides churning. Side note: Our personal fave has to be The Mummy ride though. Watch out for a surprise before the drop. You’ll know when it happens! About the park: We just couldn’t make a list without the happiest place on Earth. And with the debut of Ant-Man and The Wasp’s first attraction ever, there’s one more reason for Marvel fans to swing by. What you’ll like: Isn’t Mickey good enough? Just kidding. This park may not be on par with its siblings in Florida, California and Tokyo, but you get 27.5 hectares of fun with themes like Main Street, U.S.A., Adventureland, Fantasyland, Tomorrowland. Of course, plenty of iconic characters will be around to satisfy the Disney geek in you. The one ride you have to take: Big Grizzly Mountain Runaway Mine Cars. This speeding mine train will blow your mind with plenty of tight turns and occasional tilts amidst cool animatronics. About the park: This one’s massive so take your time with it. 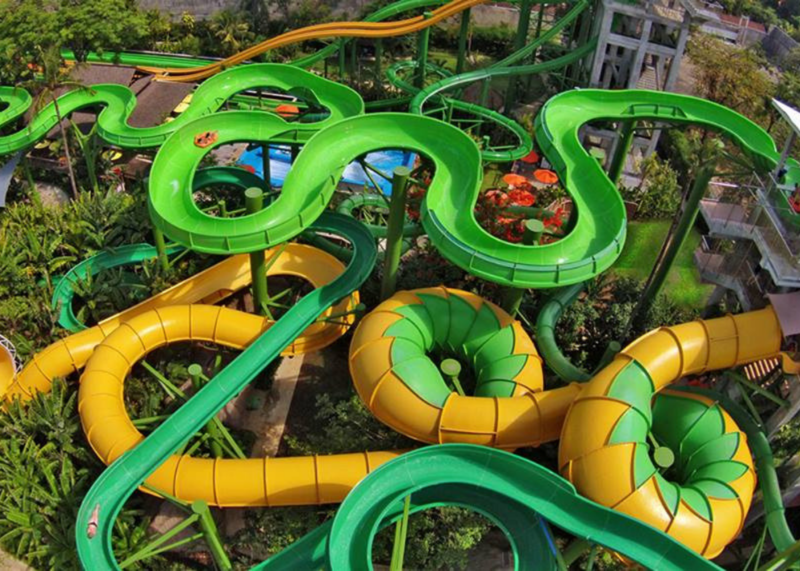 Sunway Lagoon has over 90 attractions that are spread across six different parks. It’ll definitely satisfy the picky ones in the group. What you’ll like: If we could choose just two parks, we’d head straight to the amusement park and water park. 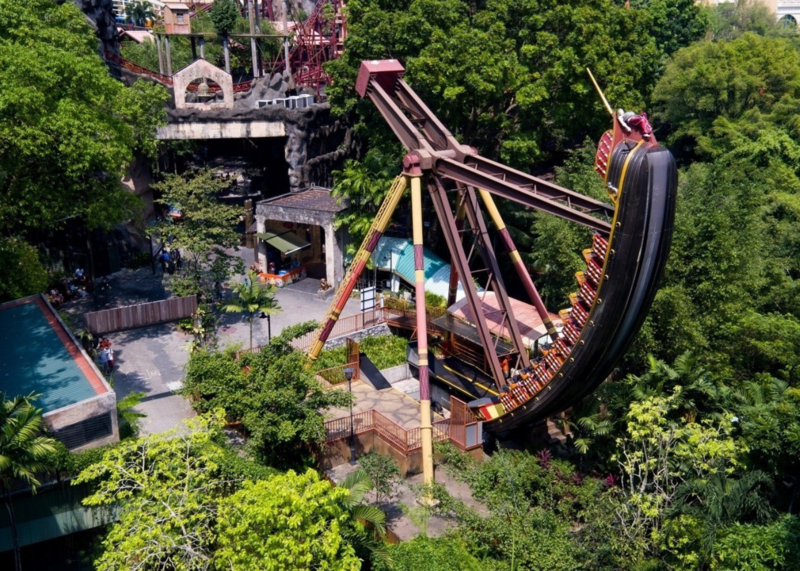 The one ride you have to take: Omg, just looking at the Pirates Revenge ride makes our heart skip a beat. It’s your usual Viking ship but with an exhilarating twist – it actually brings you in a slow 360 degrees loop, 24 metres above the ground. Yikes! About the park: How about a water park for a change? 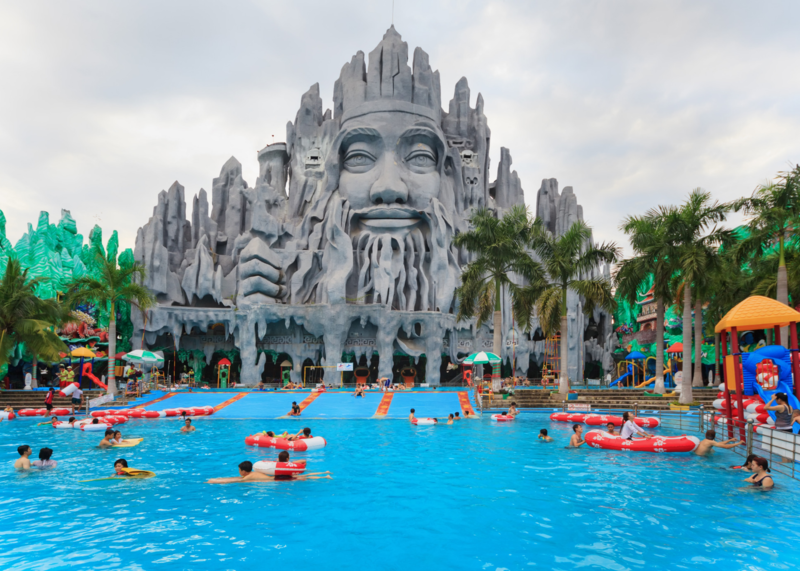 Many travel to Bali for its beautiful beaches and fab dining spots but Waterbom Bali’s a popular name for theme park aficionados. What you’ll like: Rated as Asia’s best, the water park has mellow to extreme rides that comprises a 26-metre free fall to a translucent rainbow tube that slides up a giant wall. The one ride you have to take: We can’t decide between the Smashdown 2.0 and the Boomerang so just go on both! About the park: If that giant face doesn’t intrigue you, we don’t know what will. Probably the most bizarre and strangest contender on the list, this amusement park revolves around Buddhism, folklore and Vietnamese culture. But some parts are so creepy (we’re talking about Unicorn Palace), it’ll even give our Har Paw Villa are run for its money. What you’ll like: The place raises its kook factor with a mix of mythical dragons and phoenixes, tortoises and Buddhas – a far cry from your usual fairytale characters. There’s a man-made beach with a giant face of an Emperor as the backdrop, a crocodile exhibit, roller coaster rides and an aquarium. The one ride you have to take: The rides are pretty standard here but honestly, all emotions will run wild at the Unicorn Palace. 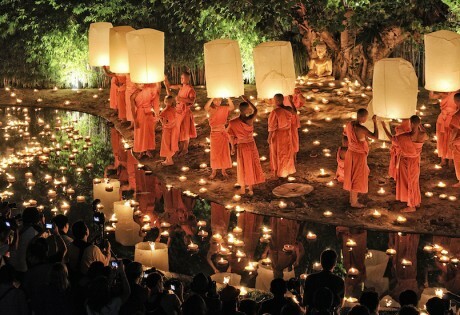 Phuket vs Bali: Where’s your beach getaway?